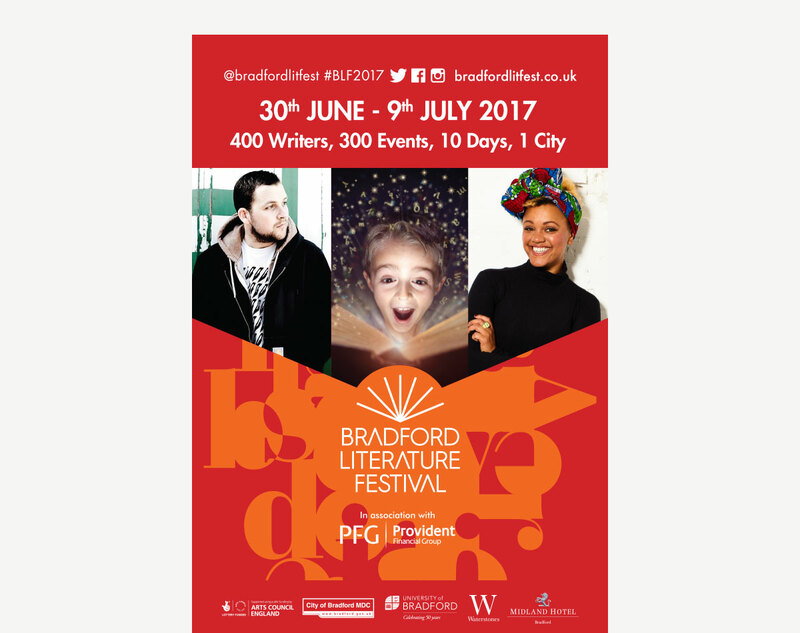 The Bradford Literature Festival is hailed as one of the most inspirational festivals in the UK. 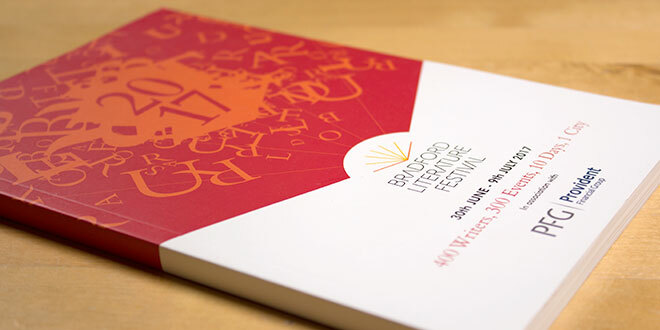 With over 300 events packed into iconic venues across 10 days, it celebrates the written and spoken word in all its wonderful forms. 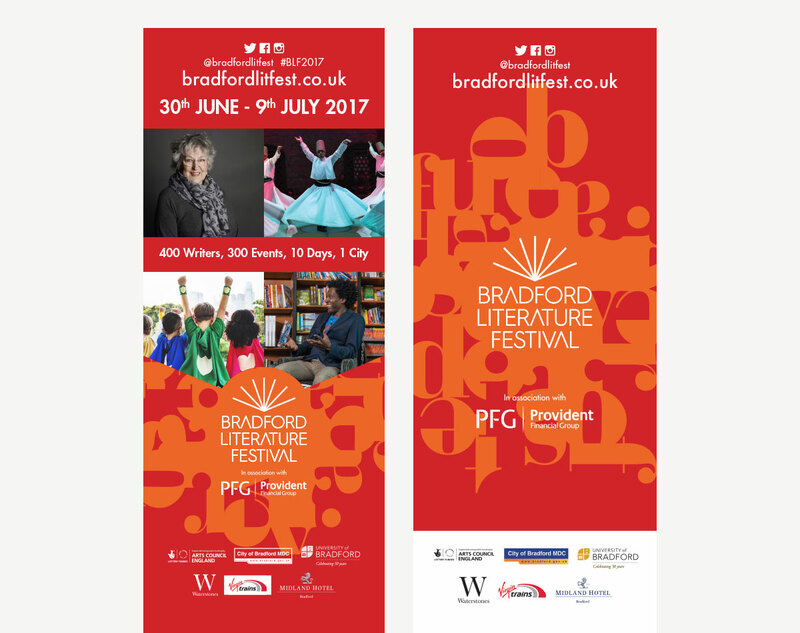 Every year world-renowned authors, poets, musicians and artists are invited to visit the spectacular city of Bradford to share their expertise and passions. 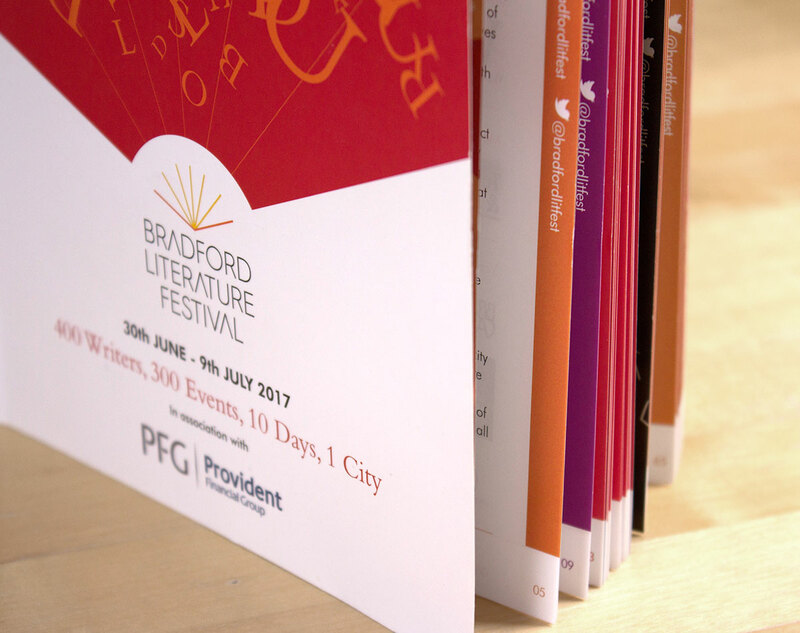 We were asked by the Bradford Literature festival to help them develop their Festival Branding to create more impact and be more effective in all avenues of print and advertising this gaining as much exposure as possible for the 2017 festival. As is our usual way of working, we submitted a range of ideas and concepts before settling on one concept and then working up the final branding across all mediums. 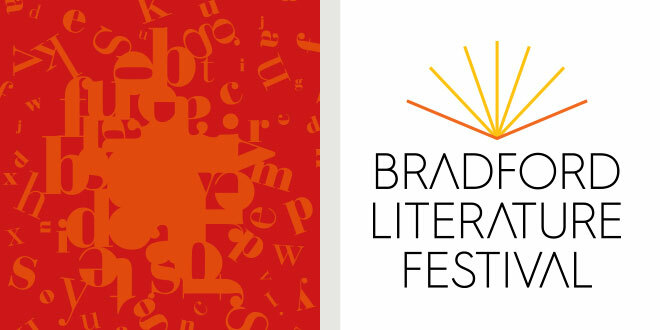 We developed a concept for the Festival Branding which consisted of exploding letters which created an abstract graphic using the letters from the words ‘Bradford Literature Festival’. The previous years used orange and red as the main colour palette and we thought it was important to carry this on to retain recognition of the festival brand. We were then asked to create 2 A5 programmes, a main brochure/event guide and a smaller version aimed at schools. The main brochure would show all the events and times, and this was designed with a very neat columnised template to keep things easy to read and navigate. 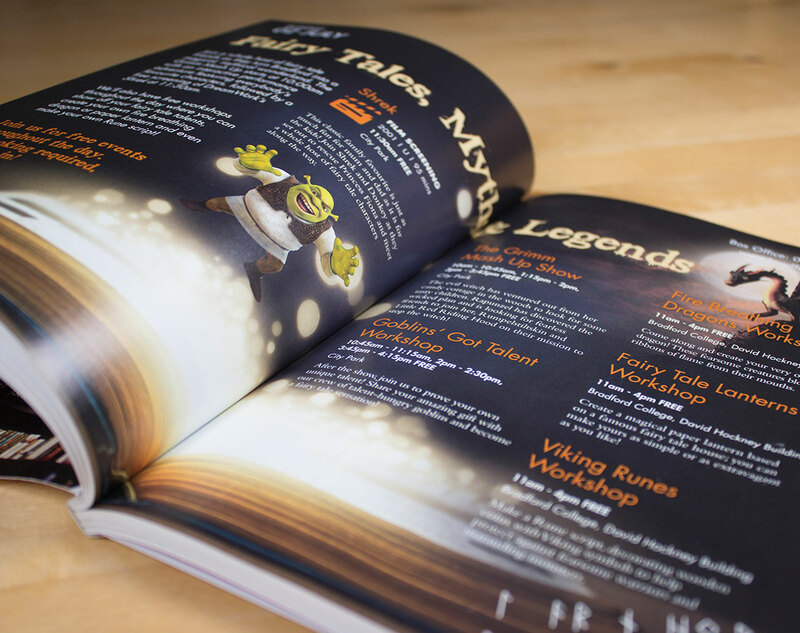 The Schools brochure was aimed at events suitable for children and had to look appealing to this age group whilst retaining an easy to follow format. 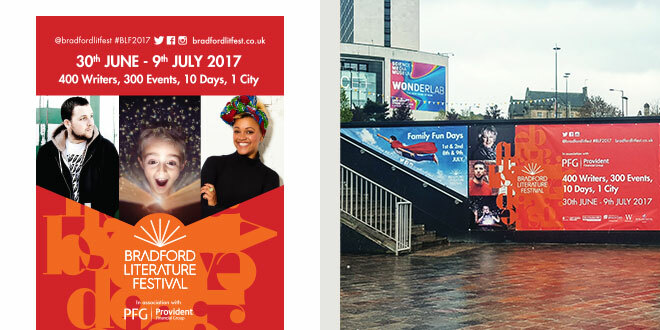 The advertising of the festival saw us push the brand out to lamppost banners in Leeds, Bradford, Ilkley, Harrogate and many other local towns. We also created various banners for walls across the region as well as large banner adverts for busy hubs such as Leeds train station and Leeds Bradford Airport. We used images of the poets, authors and writers and musicians and artists alongside the letter-burst ident to add to impact and generate interest for the festival. These banner looked very eye catching and helped achieve the interest the festival wanted. Some extra projects included event stands and press adverts as well as stage backdrops. We are currently working on the 2018 Festival where we are further developing the brand and also introducing some new Comico marketing so why not subscribe to our mailing list and we’ll keep you posted with developments! 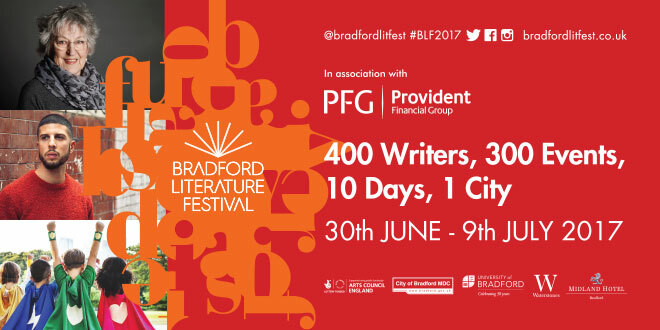 “Neither World Cup football nor the summer’s heat-wave could provide sufficient distraction to arrest the exponential growth of Bradford Literature Festival. This year’s event attracted audiences of over 70,000, up 40% on last year. Four years ago the audience numbered just 968. The involvement of schools has more than doubled over the 12 months from 12,000 to over 30,600.